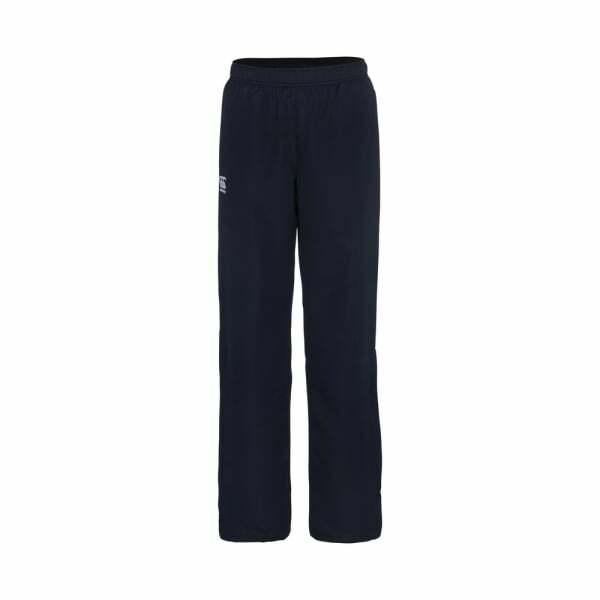 Be the talk of the team at the next session in the Team Plain Track Pant. Whether you’re heading to the gym for a workout or out around the neighbourhood for a run with the girls, these classic designed track pants ensure you’ll feel and look great. Continuing the Canterbury tradition of using cutting-edge fabric technologies, the pants combine breathable polyester with Vaposhield, our water-resistant and anti-static finish that will keep you drier and more comfortable regardless of the weather. Adding to the pants versatility is the adjustable 12” leg zips, which provide you with that extra room for movement essential for running, working out, or a serious training session.